At UNO, strategic planning is an active and dynamic process that involves participation of university leadership, faculty, staff, students, alumni, and community leaders through regular strategic planning steering committee meetings and biannual campus forums. Goal 1: Student-centeredness — The success of our students, while enrolled at our campus and later as graduates and global citizens, is critical to our mission. We are committed to ensuring a supportive and invigorating environment in which all of our students can thrive and grow. 1.1 Recruit, develop, retain, and graduate a diverse student body reflecting a dynamic metropolitan community. 1.2 Prepare students for academic success, careers, and professional responsibilities in an increasingly complex world. 1.3 Prepare students for global citizenship. 1.4 Develop resources that reduce financial barriers to increase student access and success and minimize debt. 1.5 Create a supportive, inclusive culture that enhances students’ experiences and success. Goal 2: Academic Excellence — Through our commitment to discovery in all its forms, we support a culture of scholarship in which the contribution of each discipline is celebrated. The breadth and recognition of our curriculum and academic programs reflect the highest standards of rigor, quality, and delivery. 2.1 Provide a strong core curriculum ensuring every UNO graduate possesses foundational academic skills, experiences the breadth of a liberal education, and develops an appreciation for the diversity that exists in the nation and the world. 2.2 Provide high quality academic programs that are responsive to student and societal needs, recognized nationally and internationally for excellence, and which effectively utilize traditional and distance-education delivery modalities. 2.3 Support and enhance faculty, staff, and student research and creative activity. 2.4 Identify, develop, and support interdisciplinary/transdisciplinary academic priorities. 2.5 Develop and enhance applied and experiential student learning opportunities. 2.6 Expand opportunities designed to support experiential and continuous learning for professional advancement, career change, and personal growth. Goal 3: Community Engagement — We are committed to preparing our students to be engaged citizens and community leaders in a diverse and evolving society. We embrace our role as an anchor in our community, bringing our teaching, research, and service resources to bear in sustainable and reciprocal community partnerships. 3.1 Build new and strengthen existing connections with a broad range of community partners. 3.2 Prepare students to be engaged citizens and community leaders in a diverse and evolving society. 3.3 Promote, recognize, and incentivize engaged scholarship. 3.4 Increase the involvement of alumni in advancing UNO priorities. 3.5 Fortify rewards and resources supporting engaged teaching and learning. 3.6 Formalize a system to measure and communicate the value and impact of UNO’s engagement in the community. Goal 4: Institutional Quality — We recognize the great value of the human, informational, financial, and physical assets entrusted to us and are committed to the highest levels of efficiency, effectiveness, and ethics in their deployment. 4.1 Recruit, retain, and reward outstanding faculty and staff. 4.2 Provide a safe, sustainable, and welcoming environment. 4.3 Create a vibrant and inclusive environment and culture for students, faculty, and staff. 4.4 Prudently manage the financial resources entrusted to us. 4.5 Increase public awareness of UNO’s standing as a premiere Metropolitan University and a Carnegie Doctoral Research and Engaged University, and regarding what it means to be a Maverick. 4.6 Maintain and expand facilities to meet the growing needs of the campus. 4.7 Utilize technology that supports learning, effectiveness, research, and innovation. 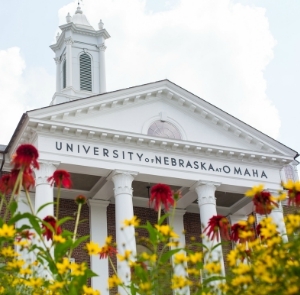 4.8 Identify, support, and sustain mutually beneficial collaborations within the University of Nebraska System. 4.9 Enhance institutional quality, integrity, and risk management by assuring appropriate policies, procedures, assessments, systems, and standards are in place and communicated broadly. serves a diverse student body reflecting the demographic composition of the region.